Progress Lighting Archie Collection 3-Light bath lighting fixture in venetian bronze finish, features steel construction. The clear double prismatic glass shade measuring 5-3/4-Inch Dia x 4-5/16-Inch, brings elegance to the home. 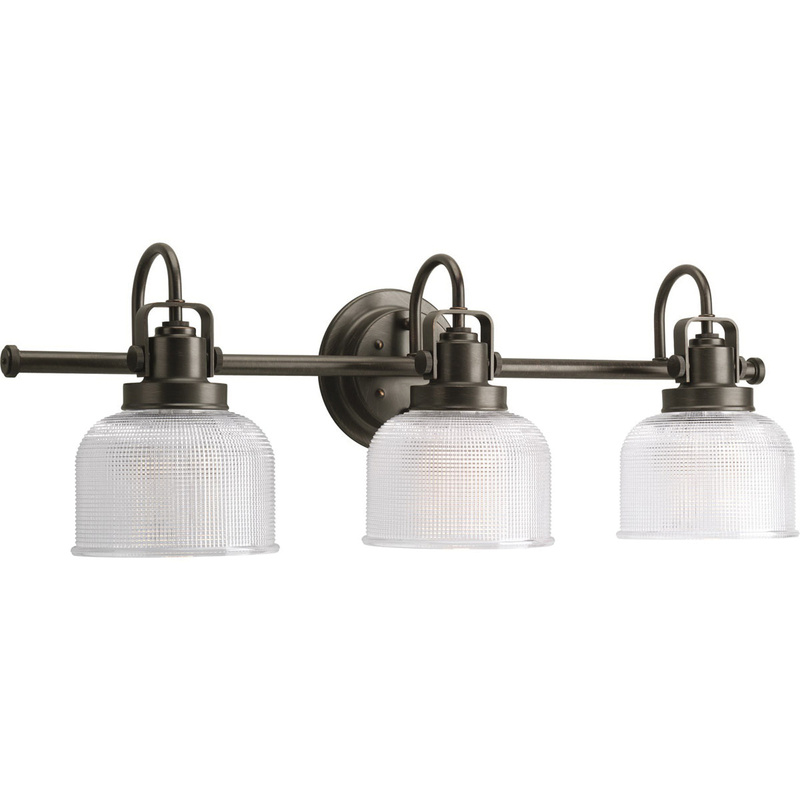 This traditional/classic style fixture uses three 100-Watt medium ceramic incandescent lamps. It measures 26-1/4-Inch x 7-1/4-Inch x 8-3/4-Inch. This wall mountable fixture firmly attaches to the wall/ceiling surface using a backplate of size 5-1/8-Inch Dia. It comes with 6-Inch lead wire for hassle-free installation. It is ideal for bathroom lighting and sitting room lighting. Fixture is UL/cUL listed.